Princess Diana had a wardrobe that the world envied – but she was more than willing to share it! 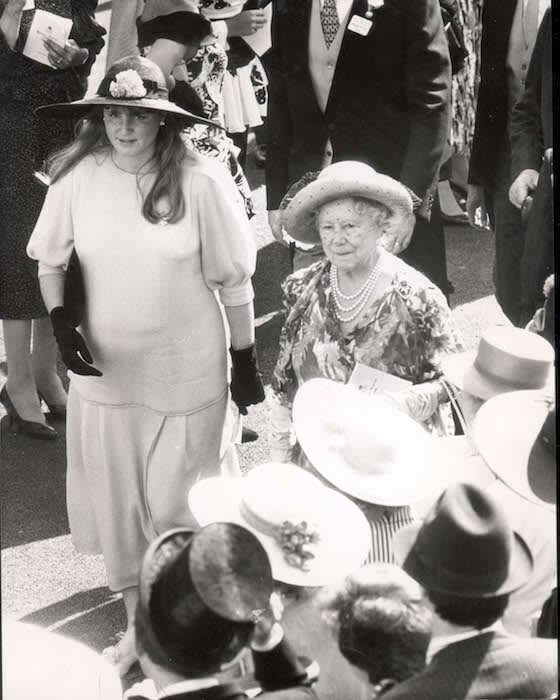 The late Princess of Wales was in fact extremely generous with those closest to her, often sharing her covetable designer pieces with sisters Lady Sarah McCorquodale and Lady Jane Fellowes, and her close friend Sarah, Duchess of York. Over the years, the three ladies were spotted in a number of her iconic items of clothing – isn’t that lovely? 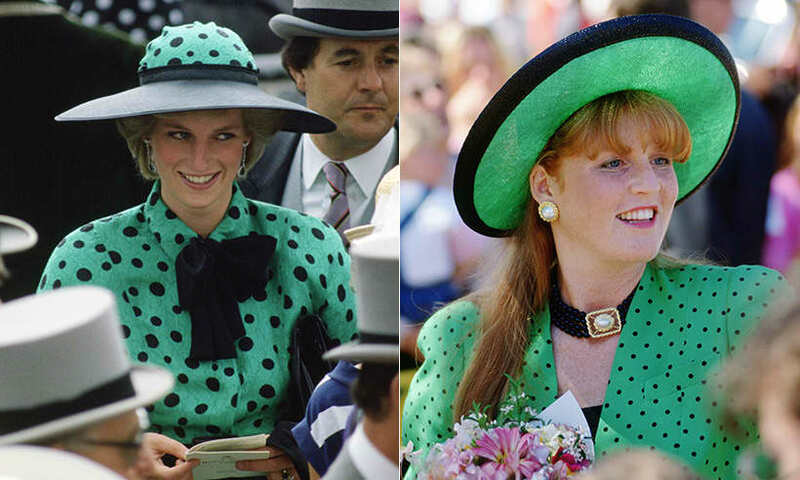 Sweetly, Diana gave Sarah Ferguson the blue floral dress she wore to the Trooping The Colour ceremony in 1981 – Sarah later wore it for her debut at Royal Ascot in 1985. Here they are pictured together at the event, with the Duchess wearing the very same dress – styled without the neck ruffle and a different hat. 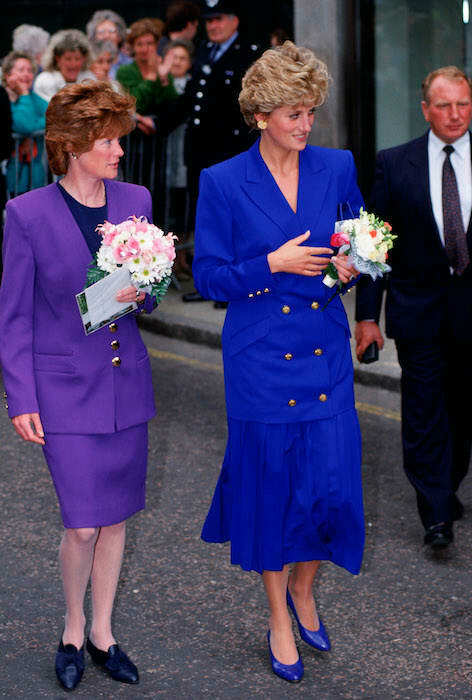 Diana loved to rock a power suit in the 90s – and this bold number was surely one of her favourites, since purple was one of her go-to shades. But it wasn’t long before she handed it over to her sister Lady Sarah McCorquodale, who was seen walking alongside Diana wearing it during a walkabout in Nottingham in 1992. 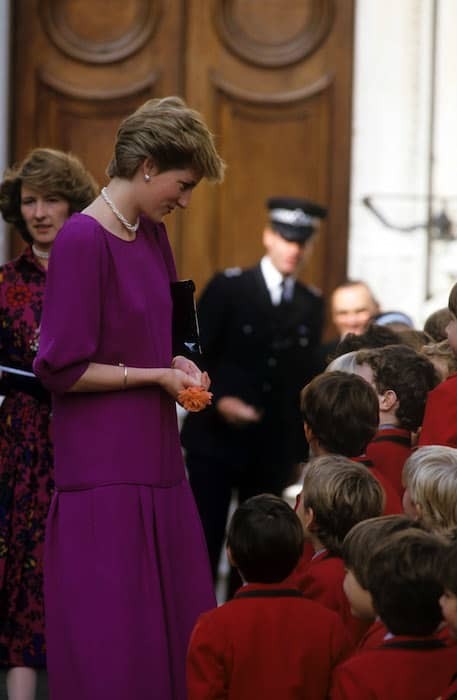 The People’s Princess chose to wear this maroon drop-hem dress by Anouska Hempel on two occasions – pictured here in 1986 during a visit to the St John and St Elizabeth Hospital in London. 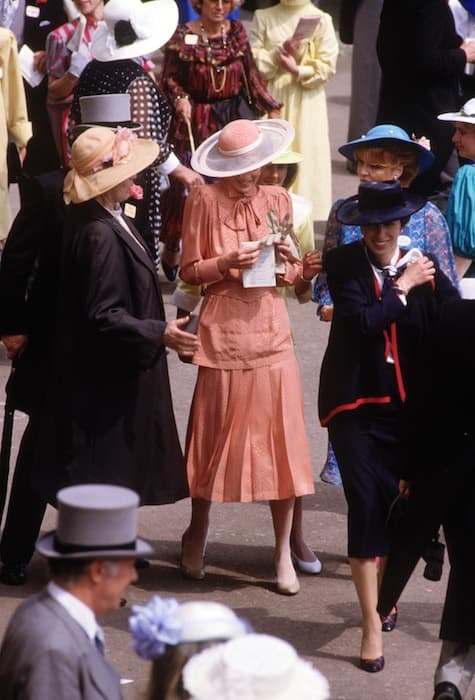 It was later seen on the Duchess of York at Royal Ascot in 1988 – though it’s believed to be a maternity version of the same dress, since Sarah was pregnant with Princess Beatrice at the time. 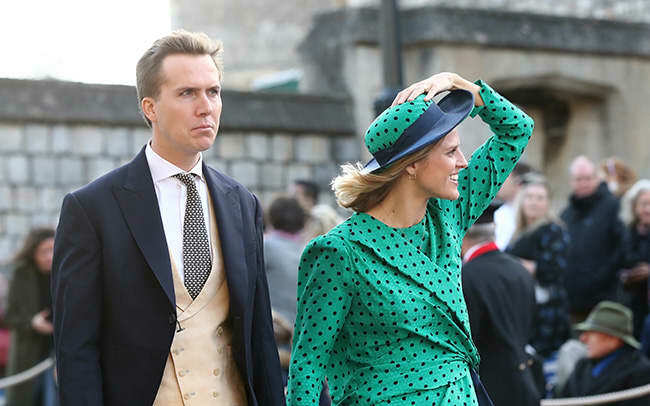 And even when they didn’t wear the exact same outfit, the two young royals were certainly inspired by eachother’s styles – this green polka dot look was one that was particularly memorable. 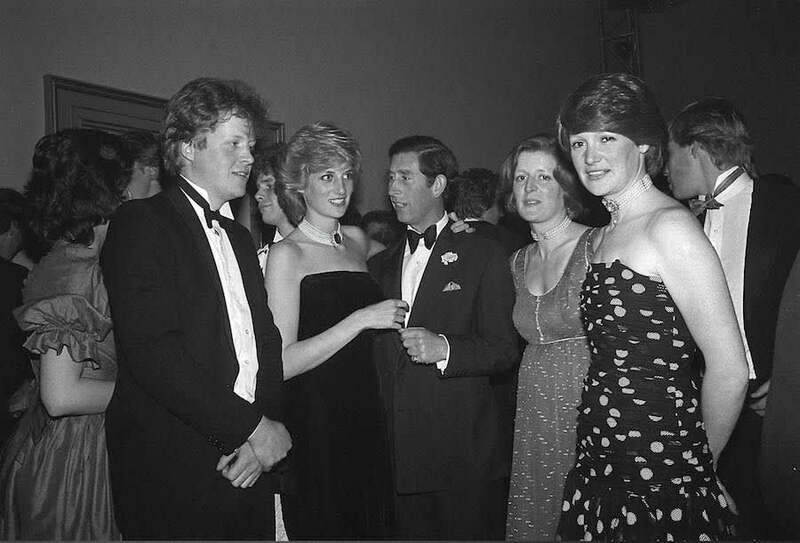 And though Diana didn’t give this look to her friend this time, she did later loan it to her sister Sarah. … and it also inspired a certain royal guest at Princess Eugenie’s royal wedding in October 2018! Amazing. 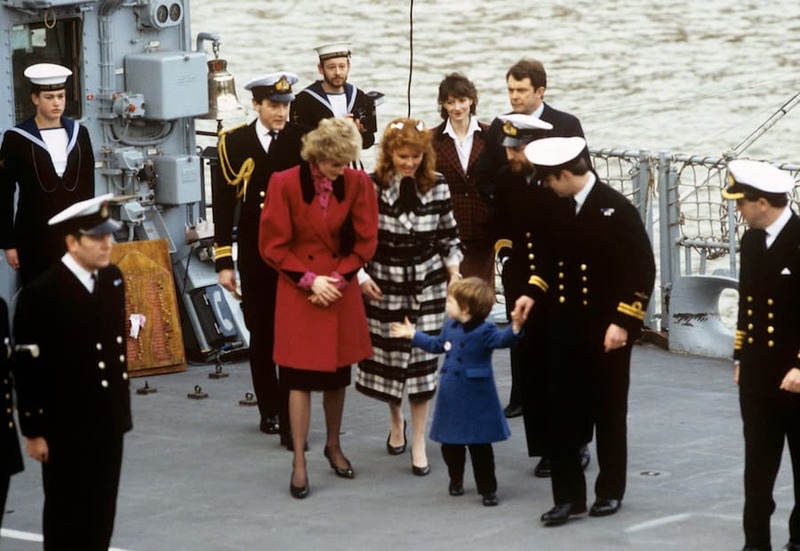 This gorgeous tartan coat, worn by Sarah during a visit to HMS Brazen with Diana in 1986, was also loaned to her by the Princess. It was the first official confirmation that she and Prince Andrew were dating, so quite a special moment! Diana wore this gorgeous blue dress during a trip to New York in 1989, but later gave it to her sister Sarah, who wore it for a visit to Paris with the Princess. Pictured here at the 21st birthday party of their brother Charles Spencer in 1997, the three Spencer sisters all look beautiful in their gowns – and Lady Jane Fellowes’ dress is in fact one that was given to her by Diana. The Princess was first pictured wearing it while pregnant with Prince William.